Represented and advised client concerning EPA compliance order involving alleged violations of the Clean Air Act and the Resource Conservation and Recovery Act. As local counsel - defended client against a Clean Air Act citizen suit involving preconstruction permit requirements under the New Source Review program. Prepared and submitted public comments on behalf of energy industry client concerning proposed EPA regulations on ground level ozone standards under the Clean Air Act. Assisted with environmental due diligence related to a proposed multi-hundred million dollar acquisition of a large-scale hardrock mine. Advised client on permit obligations and requirements related to decommissioning of a natural gas fired power plant. Defended client in CERCLA contaminated site dispute involving complex cost allocation and liability issues. Advised client regarding contaminated site liability under CERCLA and Montana law and provided counsel on personal and successor liability issues relating to property divestiture and corporate dissolution. Represented resource client in controversial hardrock mineral project involving constitutional litigation over the validity of the state’s permitting scheme and in separate litigation - defended client’s position in relation to ballot initiatives designed to halt the project. Advised and assisted client in reclamation of gravel pit under Montana’s Open Cut Mining Act. Advised water user association in matters of corporate governance represented association in negotiations with the state-owner of the water project and provided counsel concerning state water rights law and marketing water to private users. Represented clients in appellate matters including briefing and arguing before the state’s highest court. Represented private ranch owner in federal quiet title action involving access issues - prescriptive easements - implied easements - and R.S. 2477. Represented Alaska Native corporation in civil litigation and appeals affecting land and natural resources - including easements for mineral extraction - navigability for title - R.S. 2477 rights-of-way - scope of public use easements and trespass. Developed legislative strategy and drafted proposed legislation for resolving complex natural resources litigation. Monitored bills during Montana’s 64th legislative session and advised attorneys and clients of potential legal impact to industry in areas of water quality - sage grouse - oil and gas - permitting and tax. Advised and assisted client through Montana’s agency rulemaking process and provided government relations services. Advised or otherwise assisted clients regarding B-1/B-2 visitor visa - E-1/E-2 treaty trader/investor visas - EB-5 investor visas - F-1 student visas - H-1B and H-2B petitions - J-1 exchange visitor visas - K visas for the fiancé - minor children or spouse of a U.S. citizen - L-1A/L-1B intra-company transferee visas - TN visas under NAFTA - as well as other visa categories and programs. Advised clients with employment-based immigration process including prevailing wage determinations - PERM labor certifications - adjustment of status - and consular processing. Advised clients regarding lawful permanent residence (commonly referred to as a “green card”) and naturalization. Advised business clients on I-9 and E-Verify compliance and other immigration issues that arise in the hiring process. Prepared employment-based immigration law training manual for large school district client and gave in-house immigration law training sessions to district decision-makers. Greg Dorrington practices in the firm’s Helena office as a member of the Natural Resources and Environmental Litigation Practice Group. His practice is focused on project development, strategic counseling, environmental and natural resources litigation, due diligence, and other administrative and regulatory matters. 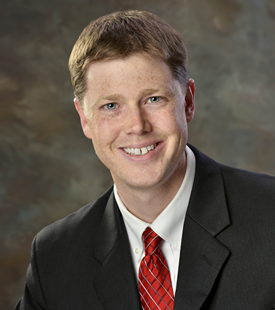 Greg’s practice also encompasses government affairs for the firm’s natural resources clients. In addition to his natural resources work, Greg maintains an active immigration law practice where he assists businesses and individuals with their immigration needs. Greg routinely advises clients regarding immigrant and nonimmigrant visas, family-based and employment-based visa petitions, the PERM labor certification process, the immigrant investor program, I-9 compliance, and immigration issues that arise in the hiring process. Greg is a fourth-generation Montanan and Helena native. When not practicing law he can be found exploring Montana’s mountains, lakes and rivers with his family. Prior to joining Crowley Fleck, Greg practiced with a respected firm in Anchorage, Alaska, where he represented individuals, municipalities, school districts, and businesses in a broad range of legal affairs, including environmental permitting and counseling, litigation, and immigration law. Before entering private practice, Greg clerked for Judge Sharon L. Gleason, a prominent Alaska judge who now sits on the federal bench. He also served as a law clerk in the U.S. Department of Justice, Environmental and Natural Resources Division, in Washington, D.C.
“Banking for Salmon: How to Balance the Klamath Basin’s Liquid Ledger Sheet with a Comprehensive Basin-Wide Water Bank,” Editorial, VT. J. Envtl. L., May 4, 2007.